Gorilla Yogis roaming the urban jungle doing yoga doing good. One breath at a time. Photo by Travis Anderson. GORILLA YOGIS is yoga out of captivity & roaming the urban jungle. One time a month we host donation-based community yoga events raising money & awareness for local organizations who do hard work to make Minneapolis-St. Paul a super place to live. Greet the midnight charm of Northern Spark with an hour-long evening yoga class. 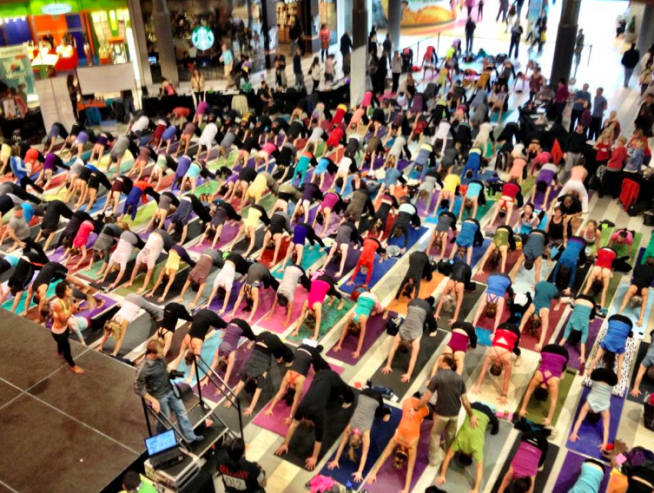 Join the Gorilla Yogis in downtown Minneapolis. BYOMat & Water. All Gorilla species welcome.